We are a leading Wholesale Trader of flocculator mechanism from Chennai, India. We have gained recognition as an eminent enterprise, devotedly engaged in offering Flocculator Mechanism. This flocculator provides gentle agitation by slow moving paddles. The specially designed flocculating paddles enhance flocculation of the feed solids. 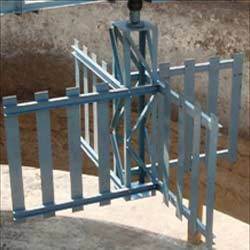 Customers can avail this flocculator mechanism in a given time frame. Looking for Flocculator Mechanism ?